True Blue is the latest grow bag from the makers of the original grow bag now the staple in greenhouse production. True Blue has been specially formulated to maximize your blueberry production with a pripriatary blend of coco, chips, and fiber. 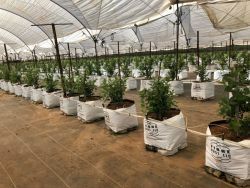 Designed with input from the largest blueberry growers in the world, True Blue sets the new standard in blueberry grow bags. FibreDust annually ships over 3,000 containers of coir a year to growers, peat producers, and soil manufactures around the globe. From our own factories in India and Sri Lanka, FibreDust can meet the demanding needs of some of the largest producers in the world. With a global reach, and complete control of the production process, FibreDust is able to deliver a consistent product that meets growers needs with a consistent PH, low EC, and unmatched water holding capacity. FibreDust is a leading provider of soilless, natural growing medium developed from the pith of a coconut husk. 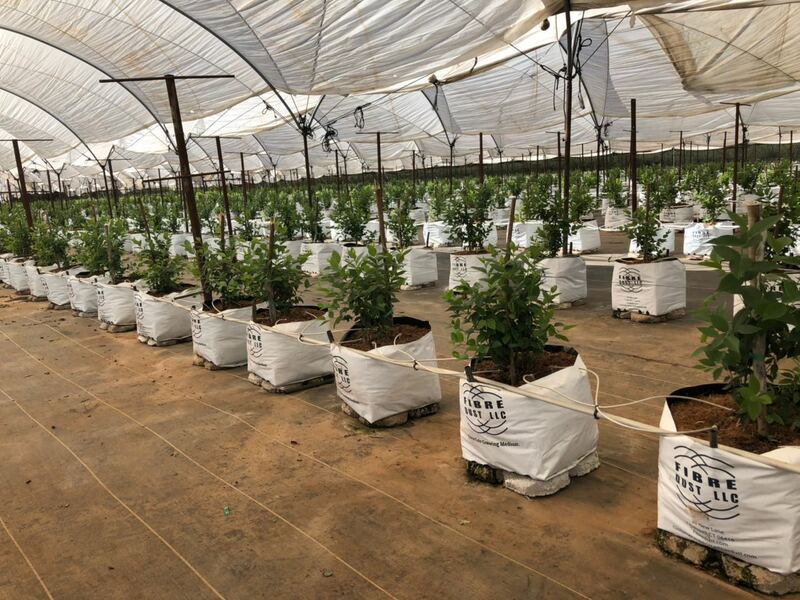 Known as coco peat, or coconut coir, this organic, renewable substrate has been steadily gaining prominence among all growers – from amateur gardeners to commercial greenhouses. FibreDust product line includes 5 kg blocks, bricks, discs, growing slabs and grow bags available with 100% coir pith, and blends of coir pith, chips and fiber. Custom orders are our specialty.